On February 15th 1975 William. C. Daldy collided hard with the M.V. 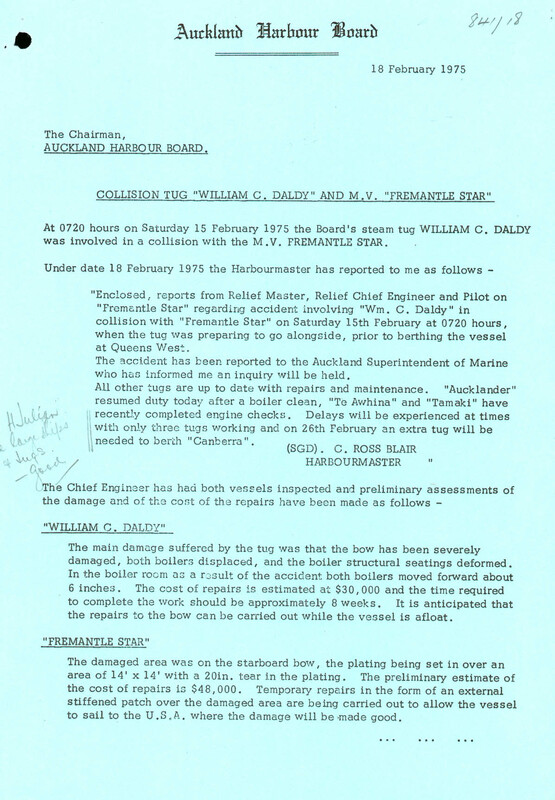 Fremantle Star, the force so great that the impact shifted both the 23 Ton boilers forward by 6 inches and caused considerable damage to both vessels. The blame was laid on a malfunction in the telegraphs however the real cause was never truely understood. 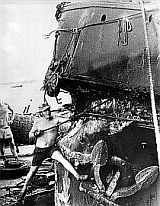 "Beats me how nobody was killed," said John Malster, relief fireman on the Auckland tug, William C. Daldy, today. ''You could call it a saga of good luck.'' 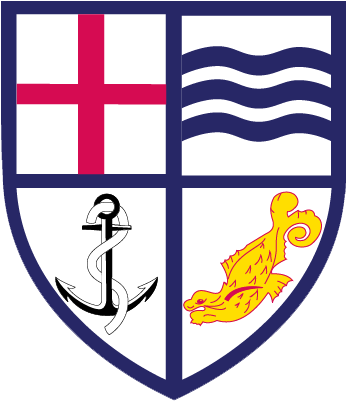 Townas Bray, a general hand on a Harbour Board floating crane. 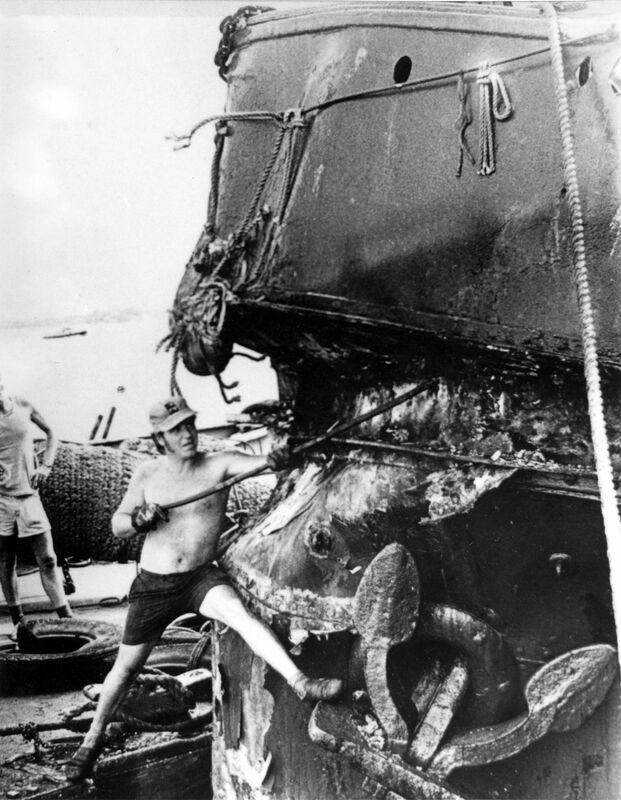 is shown working away with a crowbar on the buckled bow of the tug, today. The damage may take four to five weeks to repair. Mr Malster was one of two crewmen taken to Auckland Hospital on Saturday after the tug and the ship she was berthing, the Fremantle Star collided. The other man, who was relief engineer Barry Watkins. Both were later allowed to go home.